The one thing people neglected to tell me about being the parent of a toddler is that it’s messy. Okay, that was a lie, that’s basically the first thing they tell you. But you never quite believe it until you start potty training. You guys were in the middle of playing hide and go seek and you completely forgot, so now your child has been hiding behind the door waiting for you to come find them. Not that this has ever happened to me…. Your tot is drawing a family portrait. On the walls. With permanent marker. Your tot is systematically destroying the house. Your tot is attempting to go potty by themselves and as they are not quite tall enough to reach the toilet yet, they are leaving you a very “special” present on the floor. As you can imagine, on this particular day, Little J was engaging in option four. And of all the presents I've ever been given, it’s safe to say, this one was my least favorite. Needless to say, I learned early on to always keep a packet of Clorox Disinfecting Wipes in the bathroom so that I can quickly clean up the toilet and floors after Little J leaves behind her “special” presents. Potty training is not for the faint hearted. Nor is parenting. But one of the things I've learned early on, is that sometimes you have to just be thankful nothing is broken (body parts included) and laugh through the mess. Got an icky story of your own that you've experienced while parenting? 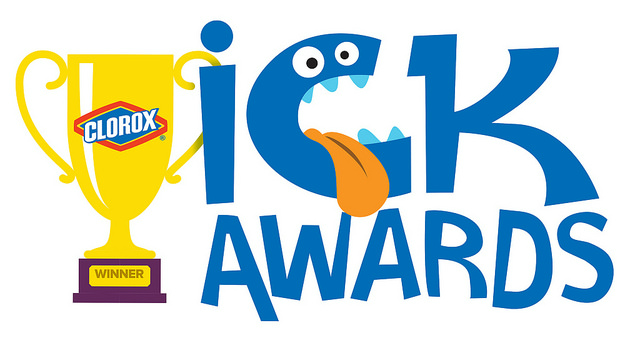 Share your giggle worthy icky tale with your readers and promote the Clorox Ick Awards Twitter Party taking place April 9th from 6-10 p.m. EST. Clorox will be giving away $2,500 is prizes and will be teaming up with Chicago improve troupe, The Second City, to turn your #ickies tweets into hilarious video skits throughout the night! Join in the party early and tweet now using the #ickies hastag for a chance to win some awesome prizes. Be sure to follow @clorox on twitter and share your messiest, dirtiest, funniest, ickiest moments. And don’t forget to visit Clorox to sign up for the email newsletter to learn more about how Clorox can help you laugh through the mess. What is the most hilarious, dirtiest thing you have ever encountered in your parenting career? Leave you comments below so we can get the laughs started early! Potty training is the worst. When I first started with my daughter, she would pee while walking and think nothing about it. So I'd have a long pee line across my floors. (Good thing we had hard wood floors). I was always on the floor scrubbing and disinfecting. These are so great for that! Great post! I'm not on twitter so I can't join the fun, but love the post and will pin it! LMBO! I'm sorry, I don't mean to laugh at you, but that is quite the image! It's a bummer that you're not on twitter, because that story alone could win you a prize or two! LOL, Stephanie, I have a friend who has two boys, and the stories she sometimes tells me makes so happy we have a daughter! Make sure you stop by the twitter event on April 9th from 6-10 p.m EST and share this tale with everyone. I would love it if you were to walk away with a top prize! 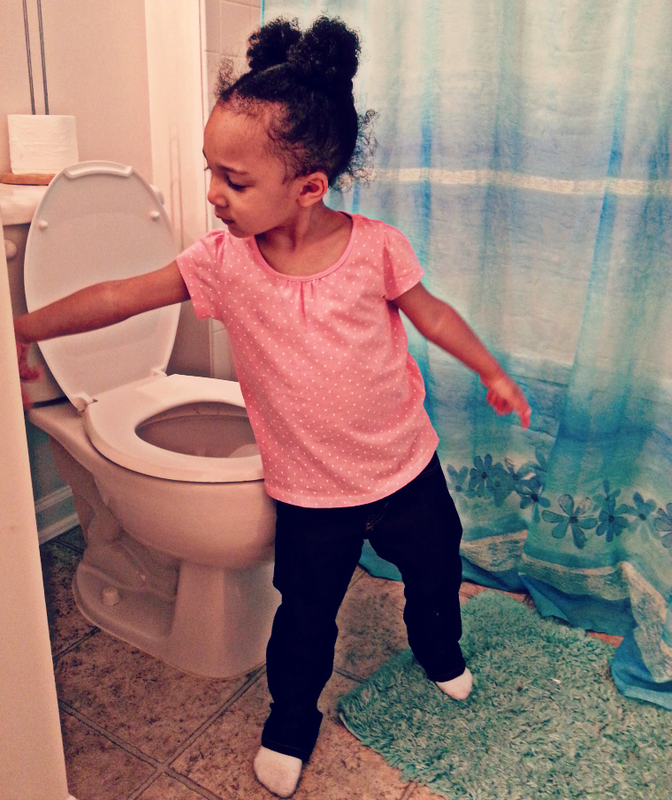 Ugh Potty Training!! I'm on child number #4 and I still haven't found a way to easily potty train! 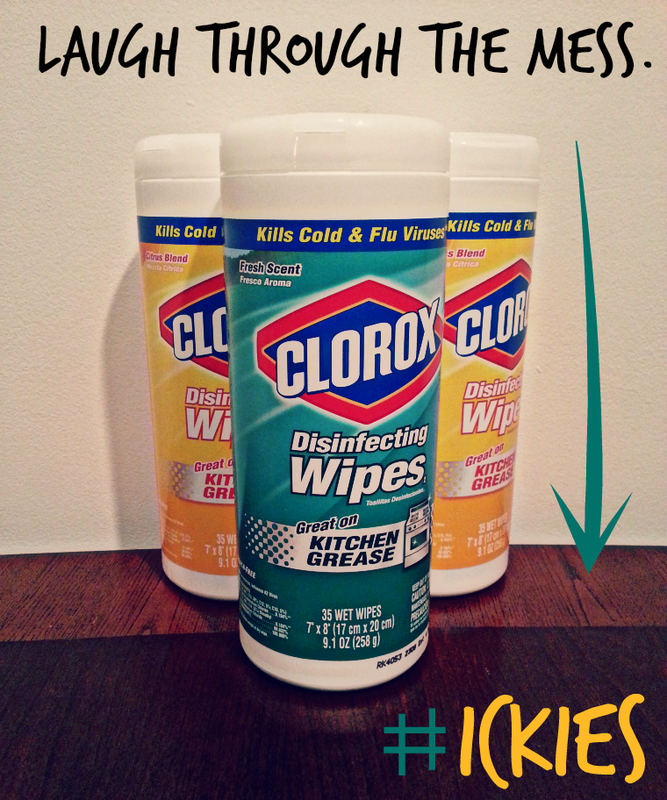 Clorox wipes are a lifesaver for so many things! Yes Lucy, those wipes are definitely a God-send! I think whoever invented them, did so with moms in mind. Definitely the best things since sliced bread! I have two boys under 2 so it should be interesting, lol! Thanks for sharing! I'm sure you're going to have plenty of stories to share! I have a friend who has two boys and her stories are certainly cringe worthy! Thanks for stopping by Shuana. Be sure to swing by the #ickies twitter event going down April 9th 6-10 p.m. EST. They're going to be giving away some great prizes for your best most hilarious ickie moments. With two boys, I'm sure you've got plenty of stories to share! Yes, those wipes are pretty much amazing! It must have been a mother who came up with the idea for those wipes. Clearly she spent many a day in the bathroom cleaning up after her toddlers! So glad that is way behind me but take it from me... they don't get any cleaner when they're older. Honestly - Clorox wipes have been a staple in this house for years. NOOOOOO Kristen, I was hoping things would get smoother by year 8-- at least. Although the temper tantrum I saw this teenager pitching the other day had me begging Little J to stay 2. I'm not sure I can handle that kind of drama. Give me a toilet to clean any day of the week and twice on Sunday! I can so relate to those icky potty training moments...not to mention sick days. I have to say that clorox wipes give me peace of mind when I am wiping out barf buckets--which is disgusting, but necessary to keep those germs at bay!! I can't say I miss those days. Once there was a present in the bathtub. ICK! So glad I am past all of that now! This is when I'm glad I never had kids. *smile* But, I love Clorox wipes and have them all over the place!